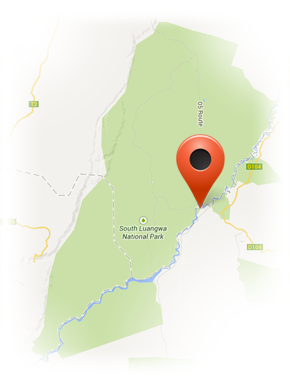 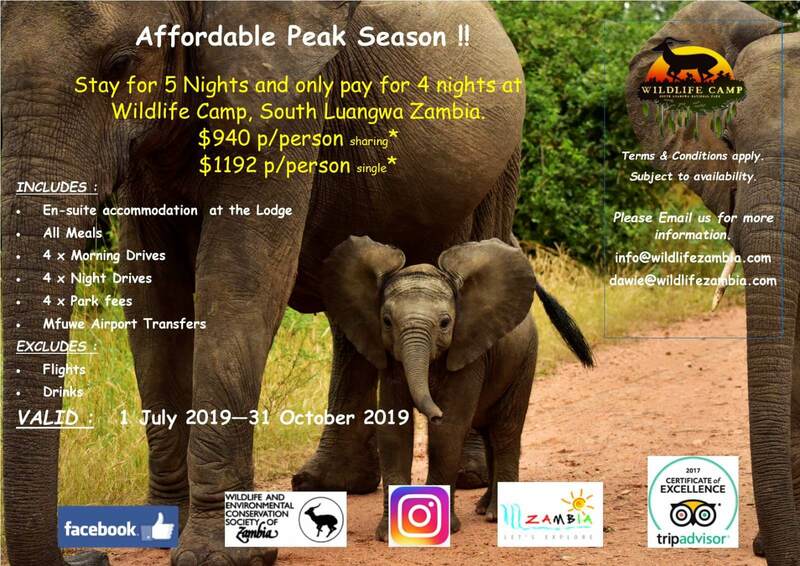 Why stay at the Wildlife Camp? 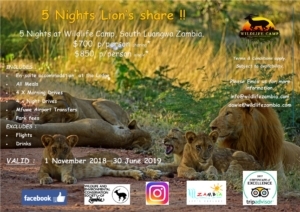 Since 1992 Wildlife Camp has been one of the most famous and popular camps in the Luangwa Valley, providing our guests with spectacular and authentic experiences in the African bush. 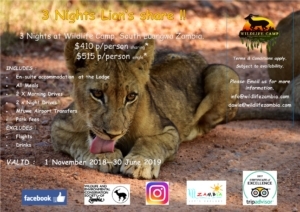 Wildlife Camp is known for its down-to-earth style and consists of rustic chalets, a secluded en-suite tented camp, a bushcamp for overnight walking safaris and a stunning campsite. 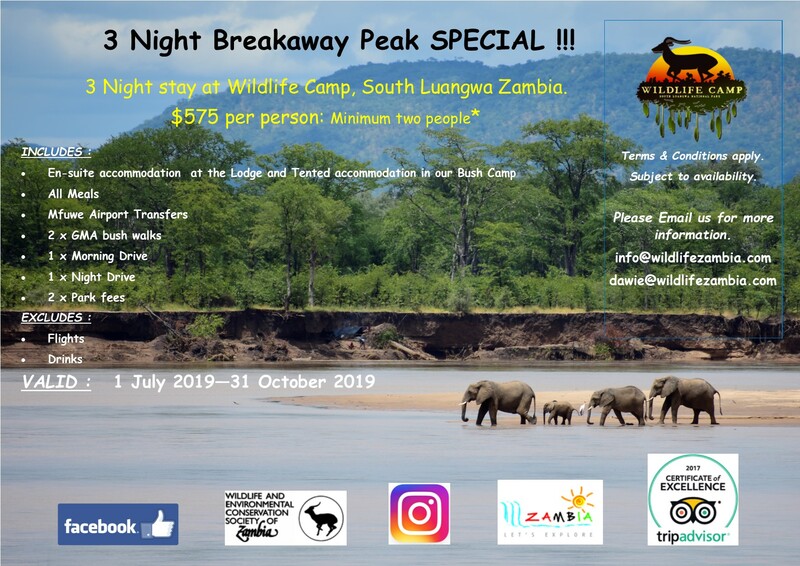 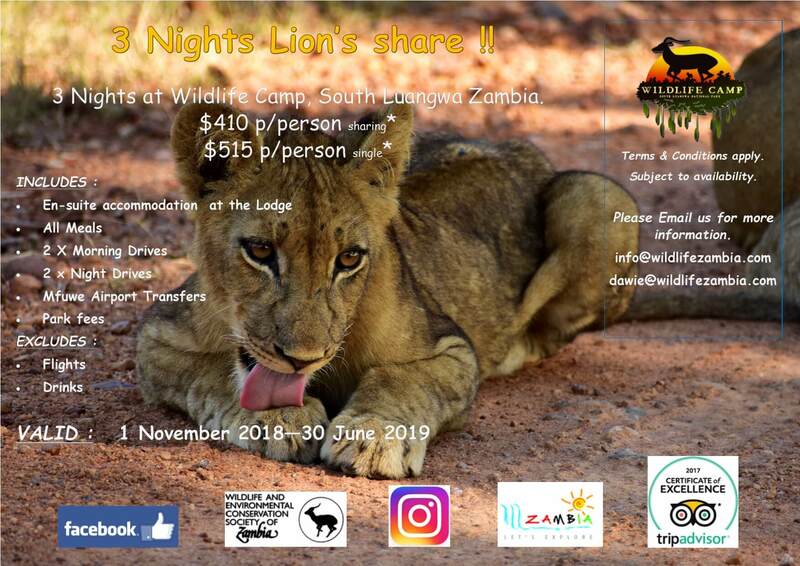 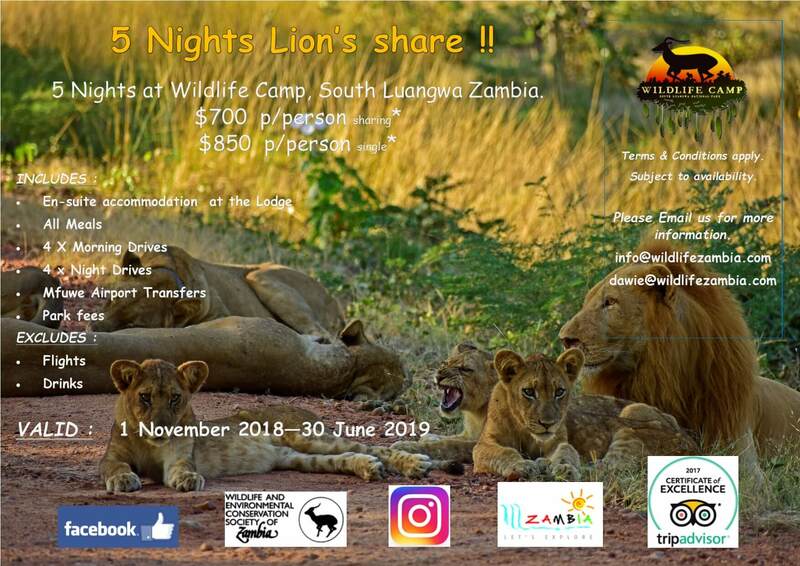 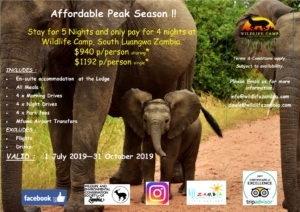 Wildlife Camp offers a fantastic value-for-money full-board option including two safaris per day, accommodation, all meals and airport transfers. 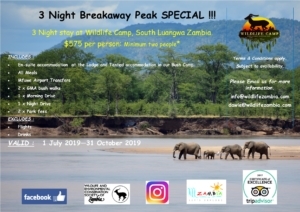 Even though most guests choose to visit us on a full-board basis, we also provide an accommodation-only option with self-catering facilities, and a campsite to pitch your own tent.